We live in a transformative time. The digital age has given us unlimited access to information and affected all our traditional business relationships – from how we hire and manage, to how we communicate with our current and would-be customers. Innovation continues to create opportunities for emerging products and services we never thought possible. This is the age of disruption – it's fast-paced, far-reaching and is forever changing how we operate, create, connect, and market. UnBranding is about focus – it's about seeing that within these new strategies, technologies and frameworks fighting for our attention, lay the tried and true tenants of good business – because innovation is nothing but a bright and shiny new toy, unless it actually works. 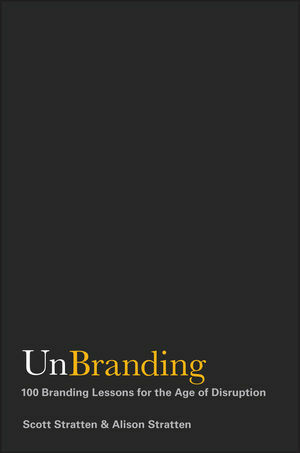 UnBranding is here to remind you that you can't fix rude staff, mediocre products and a poor brand reputation with a fancy new app.